Lysionotus is a genus of about 30 species, distributed from northern India and Nepal eastwards through northern Thailand, north Vietnam and south China to southern Japan. 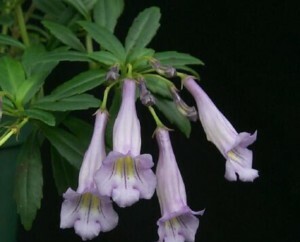 It grows epiphytically on trees in forests or on damp mossy rocks at altitudes of 300 – 3100m. Species often have fleshy underground rhizomes, which can grow out of the bottoms of pots and the sides of open baskets, turning into vigorous flowering stems. Several species have become a popular cultivated plant, tolerating relatively cool temperatures outside in temperate regions.